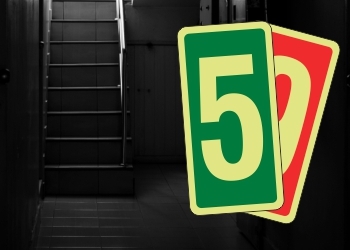 No matter the light availability, our Glow In The Dark Signs ensures safety information is available to every single resident, employee or guest. 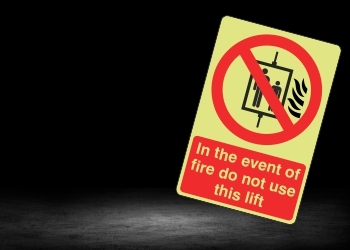 These high-quality photoluminescent signs are individually screen printed and provided on 1.2mm plastic and self-adhesive vinyl. 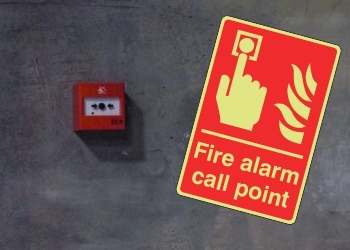 We ensure that the general information and recognisable imagery is maintained throughout each sign, making them easy-to-read and quick to understand in an emergency. 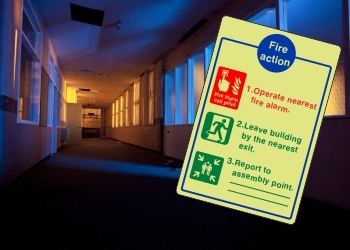 Putting safety first, each of our glow in the dark signs comply with BS 5499-2:1986 - Fire Safety Signs, Notices and Graphic Symbols. 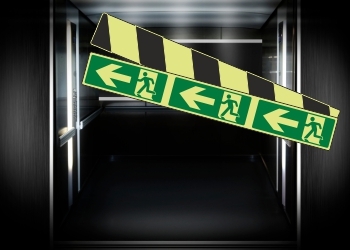 We also ensure that they abide by the Health and Safety (Safety Signs and Signals) Regulations 1996 and, where relevant, conform with EN ISO 7010:2012. 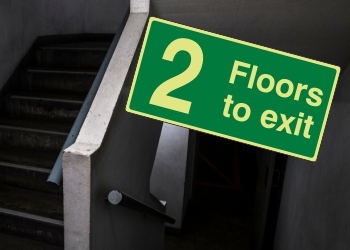 The safety of everyone in your building is our top priority and each of these signs has been manufactured to provide just that. 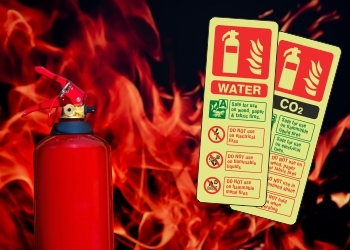 Our extensive collection has everything you'll need to keep your building compliant with regulations and requirements. 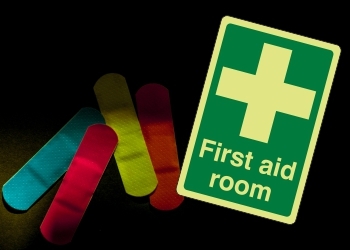 Our Photoluminescent First Aid Signs help direct medical professionals to the relevant locations and resources. 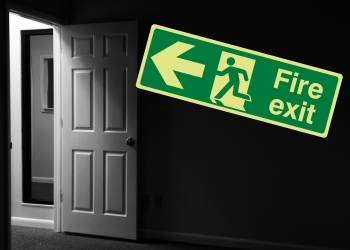 Our Fire Door Signs orientate everyone towards the nearest, safe exit in the event of a fire. 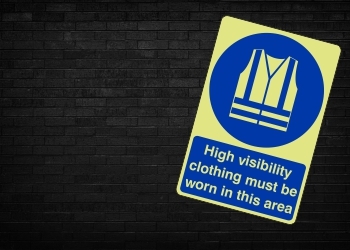 For areas of limited access, we have a selection of Photoluminescent Prohibition Signs and for specific demands, our Mandatory Signs pass on key bits of information to everyone that passes. 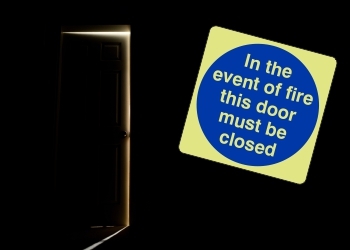 Our extensive range of glow in the dark signs have been designed for any budget. 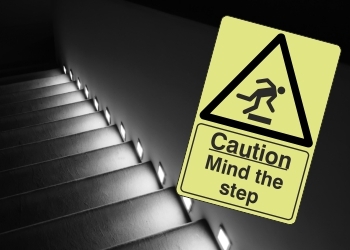 We have a competitive pricing system paired with FREE next day delivery on all stock orders over £25 (excluding VAT) when placed before 3.30pm. 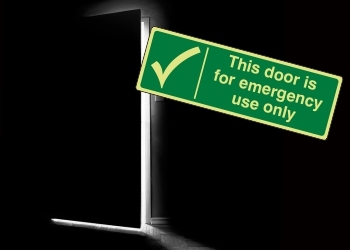 This helps us to ensure you are able to stay legally compliant at all times, no matter the size or scale of your business. 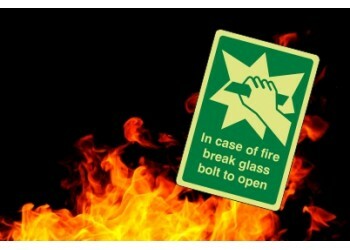 For more information regarding our glow in the dark photoluminescent signs, contact our friendly team today. 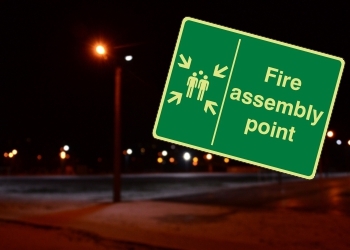 We're always on hand to find you the ideal sign for your needs.